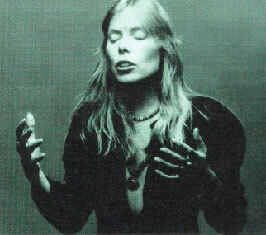 Joni Mitchel"s early work of the 1960"s shines through with clarity in this video of Both sides now and the circle game. She sings as if she is singing only to you,her truth and her feelings about the human condition. This was a memorial performance! Give it a try.This is high quality song writing,singing and guitar playing at there best.